Over the last few decades communication channels have multiplied and in some organisations, communications have improved, but for the vast majority, workplace communication is still a major impediment to both organisational effectiveness and individual well-being. What are the solutions? How will the breakthroughs come? The foundations have been laid. The Internet has been with us for almost 25 years. Edward Freeman articulated stakeholder theory back in 1984. The publication of In Search of Excellence in 1982 focused people on the significance of culture. We have come a long way in the architecture of communication, but how are these developments manifest in organizations? Have they fundamentally changed our communication for the better, or is the residue of our old hierarchies still blocking significant progress? 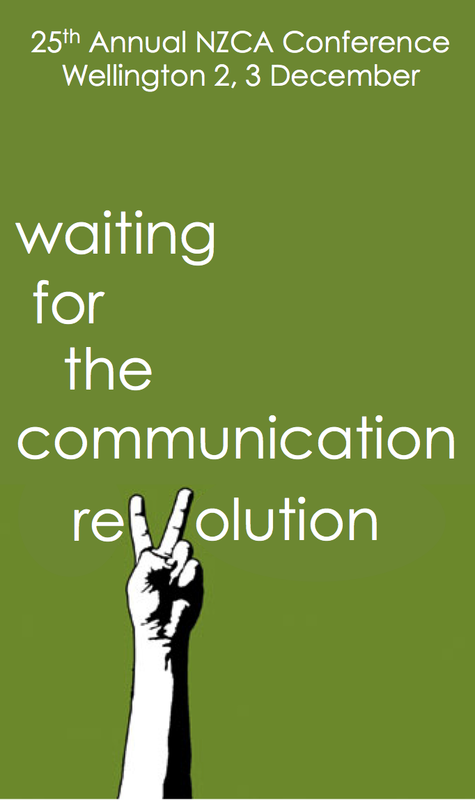 This is the theme of our 2013 Conference in Wellington on 2, 3 December – Waiting for the Communication Revolution. social media is a organisational asset. What do you think of this list? What’s missing? What organisations do you know that manifest these qualities? This entry was posted in Communication and engagement, Culture and values, Employee engagement, leadership, Organisational learning, Social media and tagged New Zealand Communication Association, NZCA, Waiting for the communication revolution, Wellington by Peter Bruce-iri. Bookmark the permalink.